Happy weekend to you! If you are a frequent reader of Bunkycooks, you know that we spend a lot of time meeting with and interviewing some of the best chefs in the Southeast. We have learned so much while talking with them and getting to spend a little time in their kitchens. We have also dined at some pretty incredible restaurants along the way. I am always interested in two things while we are On the Road visiting these chefs. One is the source and quality of ingredients used and the second is the cooking technique. There are several themes that are recurring. Obviously, the freshest local, highest quality ingredients are needed to make extraordinary recipes. In addition to the ingredients they use, many chefs have adopted a cooking technique called sous vide. Since we already spend lots of time and countless dollars working with the best ingredients in our own kitchen, we decided to learn more about sous vide. Sous vide is the French term for “under vacuum” and is a technique that cooks food in a vacuum sealed (cryovaced) bag submerged in water. The water is circulated in the pot/tank and the temperature is perfectly and accurately controlled. The objective is to cook the food to a very precise temperature. No overcooking. No undercooking. 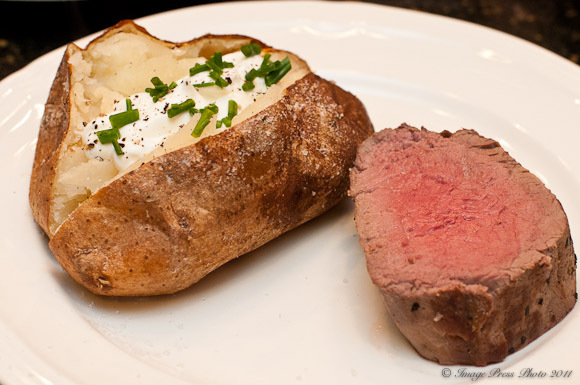 Foods that are cooked using the sous vide method are prepared just right and perfectly cooked throughout. The food is removed from the bag just prior to serving and seared in a very hot skillet. Searing provides the wonderful caramelization and appealing color, adding to an already perfectly cooked and seasoned food. Chef Kevin Rathbun, of Rathbuns’s and Rathbun’s Steak in Atlanta, mentioned two reasons why he has adopted sous vide in his kitchen. Firstly, it creates a perfect dish that is ready when you are since it can be made ahead. Secondly, it creates a cleaner kitchen. There are fewer pots and pans and much of the mess is thrown away in those sealed bags when the food is removed. Ready when you are and less mess in the kitchen got our attention. 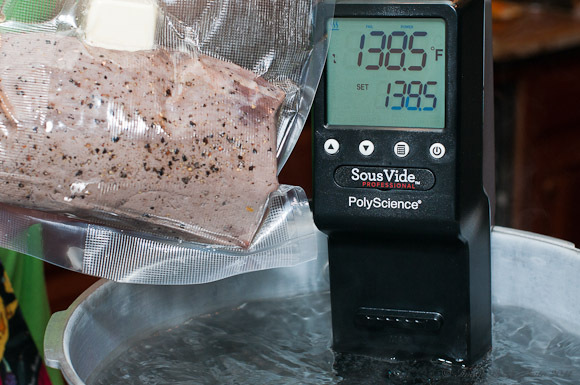 😉 We looked into the various sous vide alternatives and decided to work with PolyScience Corporation to give sous vide a workout in our own home kitchen. PolyScience is the choice of most chefs that we have worked with. We received our PolyScience Sous Vide Professional Model about two months ago and have been cooking everything from fish, steaks, roasts and scallops to eggs and vegetables. Now, before we go any further, let me just say that there is one negative report about sous vide. There is the potential for bacteria to grow in the cryovaced bags which can be very harmful to humans. However, this only occurs if you keep the food cryovaced for extended periods of time or store it at the wrong temperature. For everything that we did, we sealed and used the food within a 2-day window and stored it in the refrigerator. Most people will seal the food in the vacuum bag, cook it and eat it the same day. There is never a problem when used properly or when the food is consumed soon after sealing and cooking. So, if you are considering sous vide to prepare food 3-5 days or a week ahead of time, you need to read and follow the directions for storage carefully. So, what have we found? 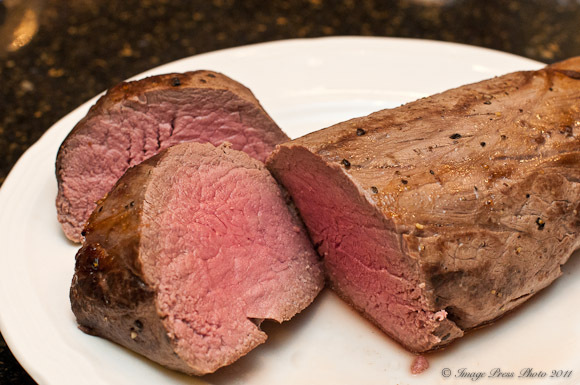 We bought a center cut tenderloin (Chateaubriand cut) of locally raised beef and prepared it . Wow! We were very impressed. The beef was perfectly cooked throughout. The flavors were more intense as the spices infuse deeper into the meat when they are cryovaced. 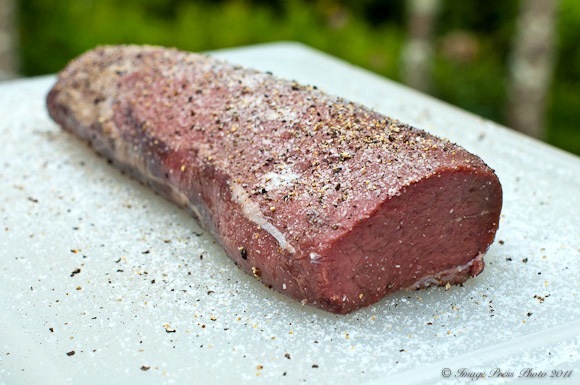 We prepared this tenderloin ahead of a dinner party. I knew that I didn’t want to be fussing in the kitchen when my guests were arriving. I wanted to spend time more time chatting and drinking wine (are you really surprised at that?!) and not worrying about the food. 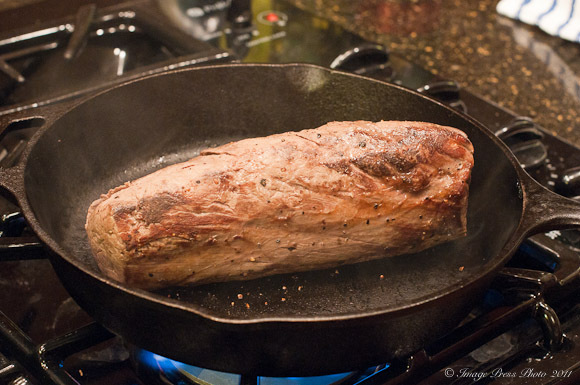 Every piece of tenderloin was perfect. Even though the tenderloin has a thick end and a thin end, the meat was evenly cooked throughout. Normally, I end up with a section that is overdone and a section that is too rare. Not this time. It was perfect. Chateaubriand is typically cooked to 132 degrees Fahrenheit, however I like mine a little more done (medium rare), so we cooked it to 138.5 degrees Fahrenheit (140 degrees is medium). Just the way we like it. Thank you for this marvelous post! The pictures are mouthwatering as always! Steven H left M with Brad and opened a fabulous fried chicken restaurant down the road called Buttermilk where they do the Springer mountain chicken sous vide and then do the quick fry to seal in the bread mixture. Unbelievable how sous vide makes food taste so succulent and locks in the flavor. That gadget is on my most wanted list now! Keep up your fantastic work. It remains a highlight in my inbox! Thank you for your nice comment. 🙂 Sorry to hear about all of the changes going on in your part of the state. However, that is great news for Steven and Brad and we will definitely have to get up that way this fall for some awesome fried chicken!! I love Sous Vide, specially beef! It’s such a delicate way to prepare dishes…Although I’ve never done it at home, this must be quite fun! Your dishes look gorgeous and delcious Gwen! That is completely new info for me. Had never heard of it, but enjoyed learning about this, Gwen. Wow… what gorgeous pictures! 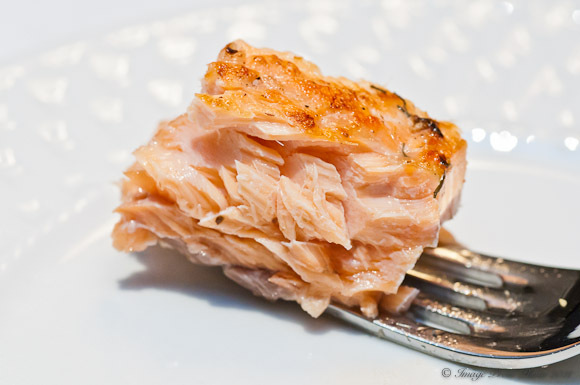 I had heard about sous-vide, but I had no idea that it would work so well with so many different kinds of protein. I especially love the look of that salmon! Your salmon looks absolutely phenomenal. 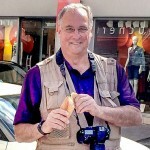 And the tenderloin looks just as delicious. Now I’m going to be wanting a sous vide even more than I was before! I went to a sous vide demonstration at Williams Sonoma. I really didn’t give it a second thought as far as purchasing one, but they didn’t really emphasize the ready when you are and less mess in the kitchen selling points! Might be worth the $$. Great post, Gwen! Does anyone have thoughts on the following: Being a busy parent of 3 kids, I’d like to prepare food (steaks, cutlets, etc), vacuum seal them and then freeze. Can I then place the frozen packets in the sous vide for cooking? Naturally at a somewhat longer cooking time. There is no problem preparing your individual meals and freezing them uncooked. I would recommend removing the meal from the freezer and defrosting it in the refrigerator rather than going directly to the sous vide hot bath. Freezing will prevent the growth of any anaerobic bacteria from growing. The proteins will cook better when thawed. You can keep most vacuum packed meats in the freezer from 2 months (fish) to 6 months (beef). Longer periods tend to impact the quality of the protein. I also suggest placing the sous-vide pouches in an outside container or zip bag to further protect from freezer burn. When you defrost your sous-vide bag in the refrigerator it is critical to use it the next day. DO NOT leave the thawed bag in the refrigerator for more than 24 hours (though the experts say 48 hours) for the same reasons as mentioned in the following paragraph. One BIG CAUTION. Never store your sous-vide cooked food in vacuum sealed bags in the refrigerator for an extended period of time. Depending on the temperature of your refrigerator, you run the risk of anaerobic bacteria (botulism) growing and Sous-vide temperature are often time insufficient to kill the bacteria in the cooking process. Mr B, I appreciate the advice. I was originally thinking of purchasing a SousVide Supreme but now I’m leaning towards the PolyScience unit. I believe it will give me more flexibility with container size and also with roasts and such. The PolyScience unit provides far more flexibility and it is easier to store. You can use a stock pot, Lexan tub or container appropriate in size for what you are cooking and we have even prepared different ingredients at the same time under the same temperature in larger containers. We had considered the Supreme but decided on the PolyScience unit just for the reasons you have mentioned. Another Sous-vide article will be coming soon. We take a look at the impact of different cooking times on different proteins. I’ve read recipes saying to cook meat for 30 hours, but this article says “Fish requires 10-15 minutes to cook in the sous vide. Meat is typically done in 30-45 minutes. Vegetables, like carrots, can take 45 minutes to an hour to cook.” Do I miss something?